All invoices you created for your guests can be easily tracked in one place. 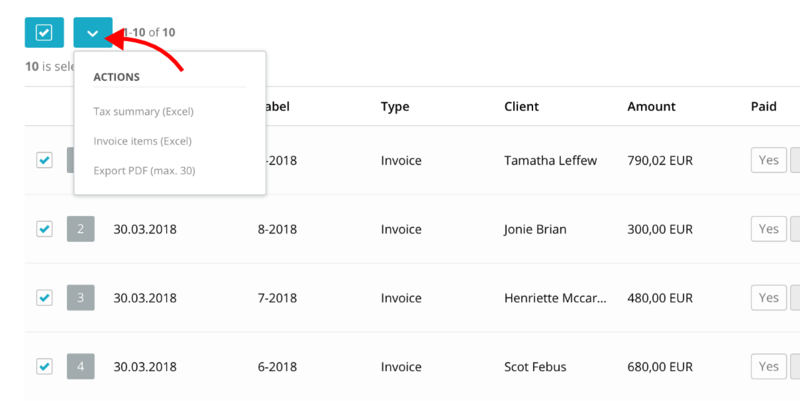 Every invoice is shown in its own row, which contains issued date, invoice label/number, type of invoice, client name, total paid amount and info whether it is paid or not. You can access invoice list through the menu on the left. 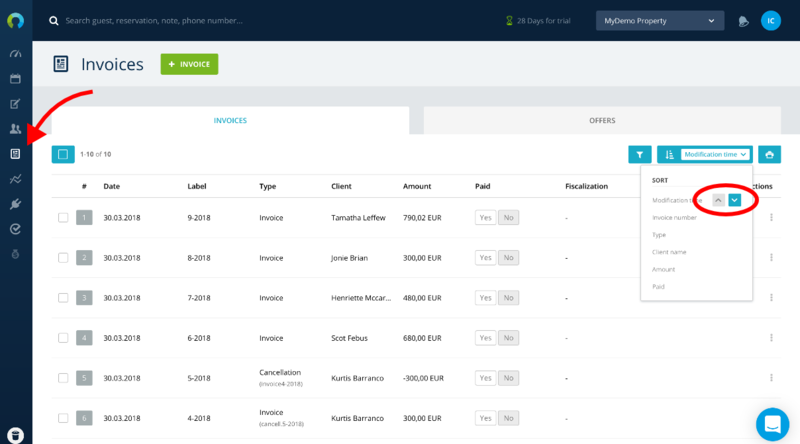 The list can be easily manipulated: you can sort it according to multiple options - update time, invoice number, client name, amount etc. To show results in ascending order, select arrow up. For descending order, select arrow down. 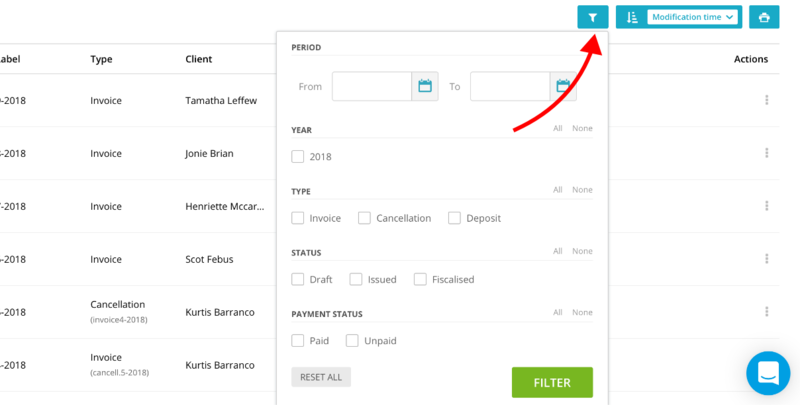 You can filter invoices by clicking on the filter icon. A menu with lots of options will appear, and you can select a combination of data to be displayed. To apply selected filters, click on the Filter button. If you want to create a PDF document or an Excel spreadsheet (invoice summary / invoice items), first you need to select the invoices. Put a tick at the beginning of every row for each invoice you want to select. If you want to include all invoices, simply click on the blue square icon above the invoice list. When you selected the invoices, a blue arrow icon will appear, giving you options to export data. trash bin icon - delete the invoice.